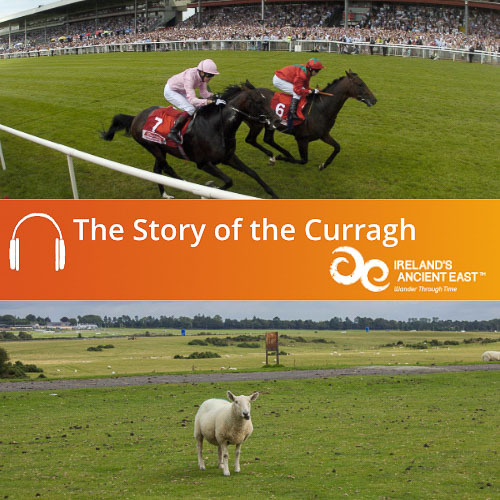 Hear stories of Ireland come to life with more than 30 downloadable Abarta Audio Guides. 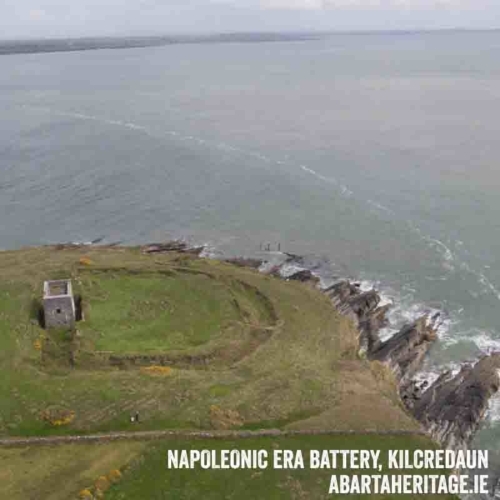 These tales from Irish history, archaeology, myth and legend are researched and beautifully produced by the experts at Abarta Heritage. 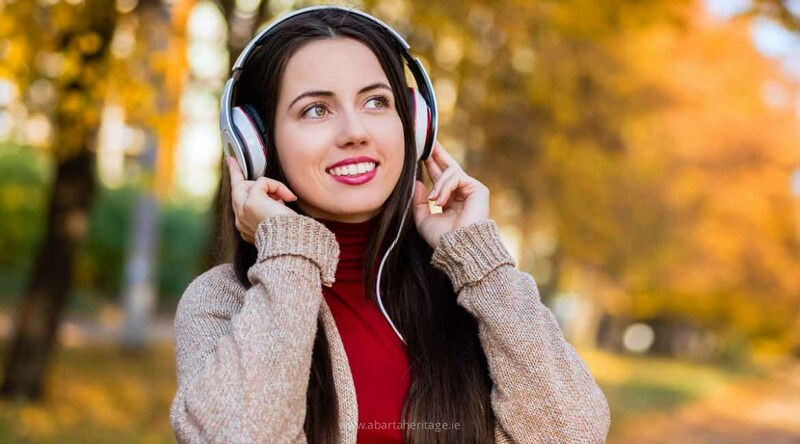 These audio guides are designed to lead you around some of Ireland’s most iconic landscapes, but they can also be enjoyed from the comfort of your own home. Our audioguides are expertly researched and you can depend upon them to be solid on the facts and figures. But we also understand that it takes more than just facts to tell the whole story. You also need to appeal to people on an emotional level, to help to give them a passion for the subject at hand. So we don’t think history is just about strong men, great battles and lists of names and dates. You also need to hear all the personal stories to illustrate the life of people in the past. So while we enjoy a good documentary on BBC4, we also love a bit of Game of Thrones – because along with being informative, our guides are also entertaining and full of history’s twists and turns. Our Audio Guides include heritage trails, town and city tours and audio books. If you are interested in having an Abarta Audio Guide produced for your area please do get in touch. Around practically every corner in Ireland you can discover fascinating ruins, historic buildings and landscapes soaked in heritage. 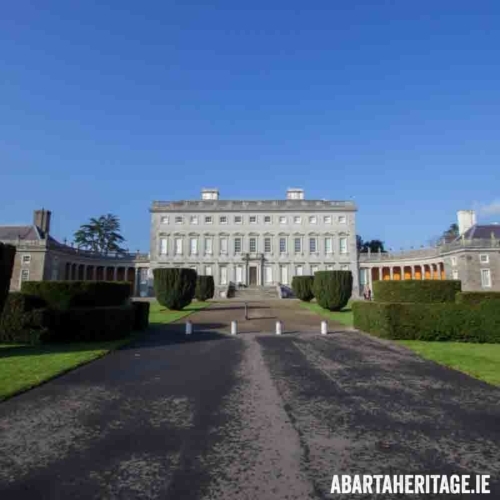 Our Abarta Audio Guides brings you to the key locations and hidden treasures that unlock the stories of Ireland. Following these trails can be a fun and free day out! 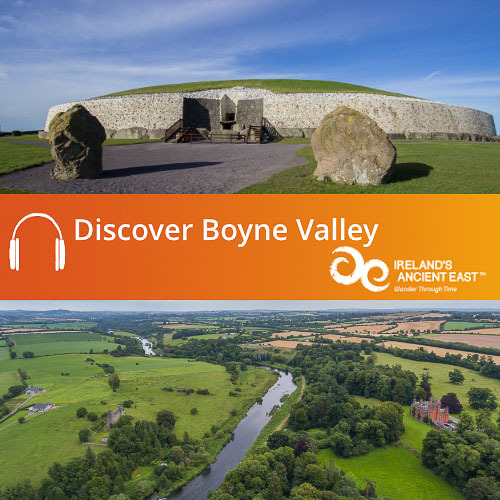 The Discover Boyne Valley Audio Guide will lead you to World Heritage Sites in one of Ireland’s most important heritage landscapes. 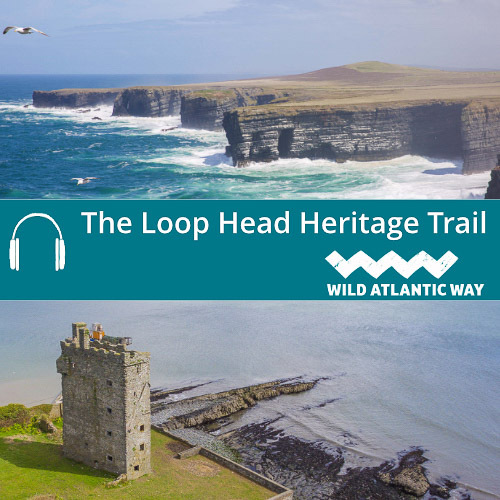 Explore the best of the Wild Atlantic Way with your free Loop Head Heritage Trail Audio Guide, or discover the iconic landscape of the Curragh of Kildare. 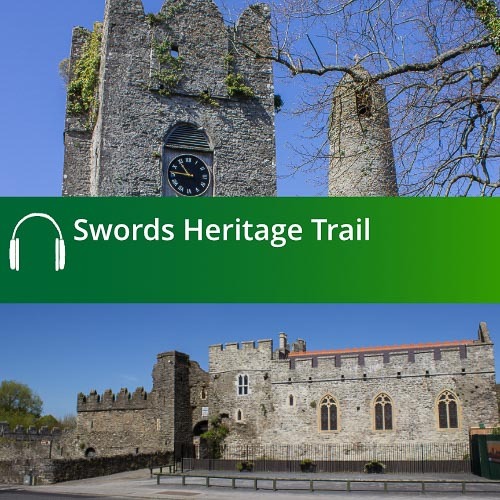 Try our Laois Heritage Trail Audio Guide, or follow in the footsteps of Ireland’s Ancient Saints along the Kildare Monastic Trail and Laois Monastic Trail. We have many guides to help you explore! 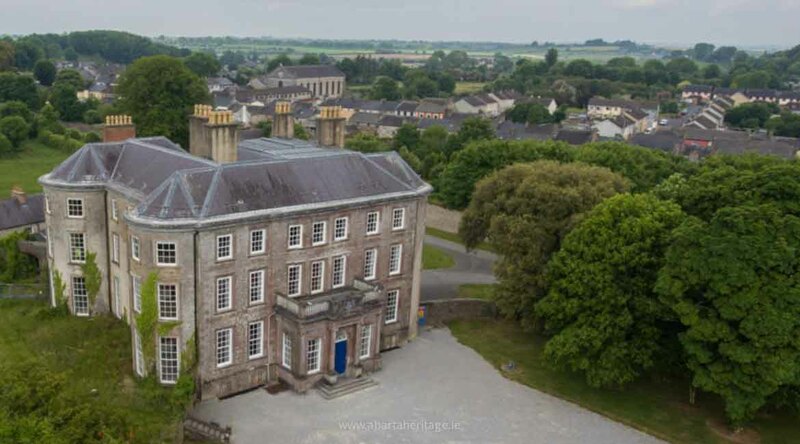 All of Ireland’s cities, towns and villages have a remarkable story to tell. Our Abarta Audio Guides will help you to discover these stories and introduces you to the key characters and places that helped to shape the towns. 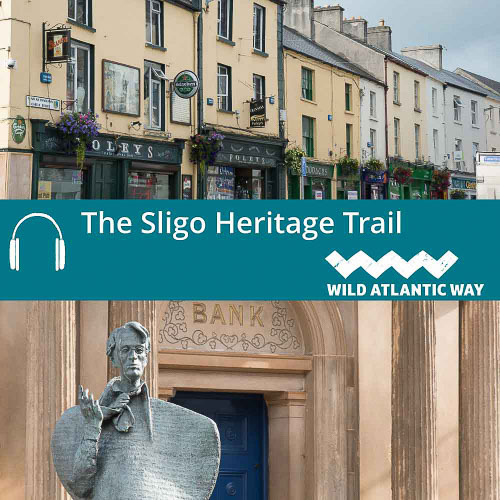 Wander the vibrant streets of Sligo as you uncover its medieval origins, or discover how towns like Kells and Kildare developed from their ancient monastic origins. 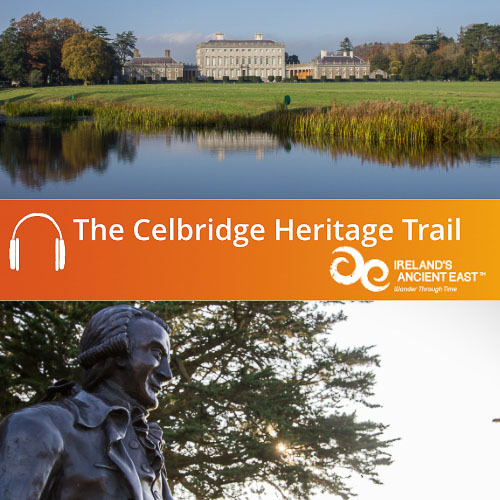 Our Celbridge Heritage Trail audio guide helps you to explore how the village developed as part of the grand estate of Castletown House, and our guide to Kilmallock will lead you around the medieval marvels of this beautiful walled town. 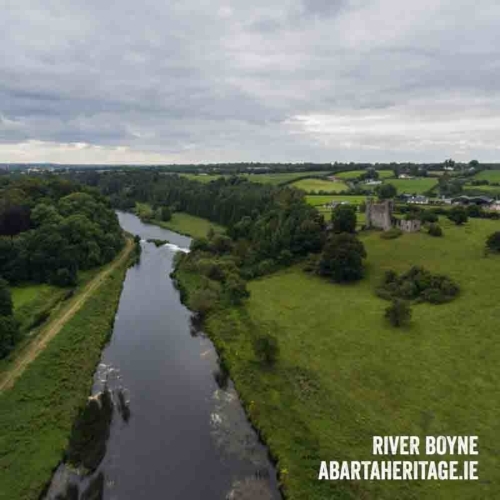 We also have Abarta Audio Guides for towns like Portlaoise, Portarlington, Abbeyleix, Bruff, Swords and more! If you are interested in commissioning us to produce an audio guide for your town please do contact us. 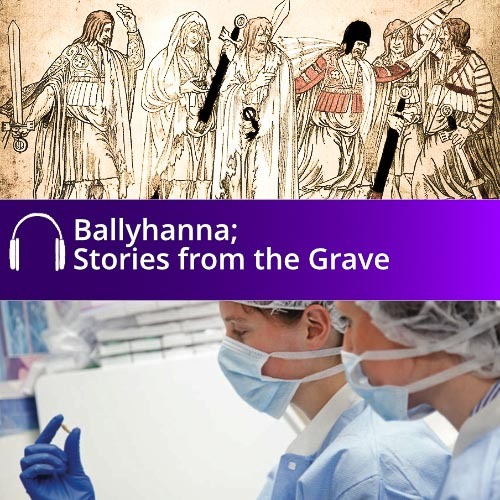 We have been commissioned by Transport Infrastructure Ireland to produce a series of audio books based on the archaeological discoveries made by archaeologists during survey and excavations in advance of infrastructural projects around the country. These guides often contain fictional chapters, where the life of people in the past has been recreated based on the latest discoveries and historical sources. 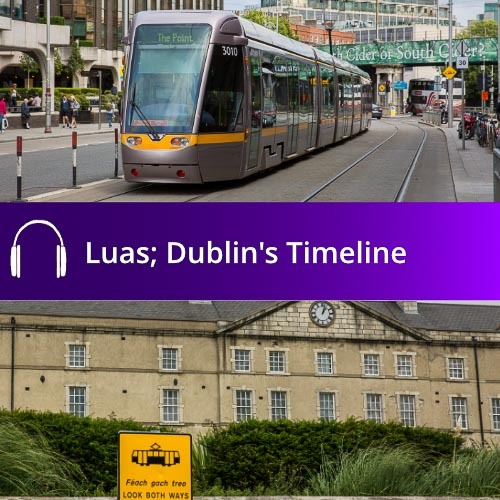 You can hear about life in Viking Waterford with the Woodstown Audio Book, or hear about the story of Dublin as it was uncovered during the work to create the Luas system. We are proud that our acclaimed series of audio books produced for Transport Infrastructure Ireland have been chosen to form part of the remarkable National collection of the Irish Digital Archive. 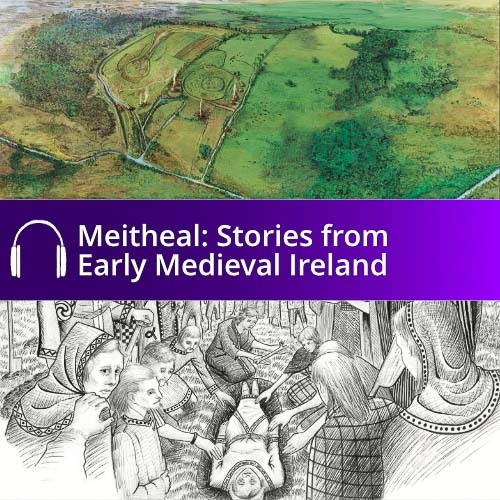 We also work to self-commission a series of audio books on various key aspects of Irish history and archaeology. We have started this series with our Story of St Patrick Audio Book. Written by Terry O’Hagan, an archaeologist and expert Patrician scholar, the audio book uses the author’s own translation of Patrick’s writings to help to describe the life and experiences of Ireland’s Patron Saint. We hope to continue this series by working with other scholars to focus on a number of other themes about Irish History, Archaeology, Legend and Folklore. If you would like to support this work please consider purchasing our Patrick audio book to help fund similar future products. 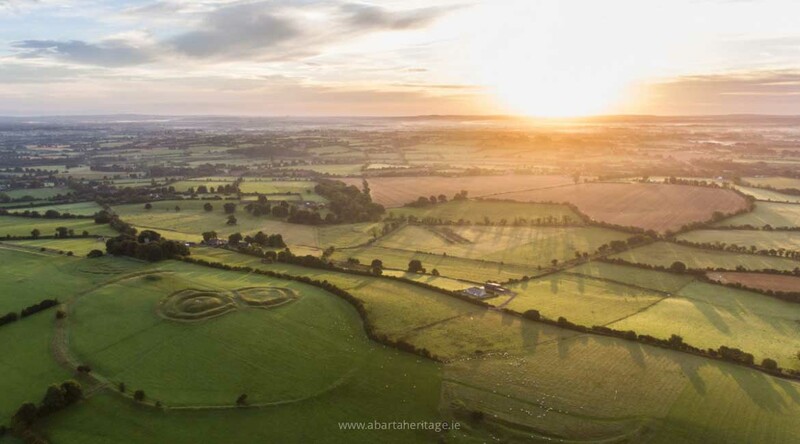 We will continue to work to help people to discover the remarkable stories of Ireland, that are often far more dramatic than any work of fiction. Please Help to Share the Stories of Ireland!